I thought I’d share the bourse I made following Isabelle’s lovely instructions. Although it was easy I don’t know if I’d have tried it without them – so thank you Isabelle! 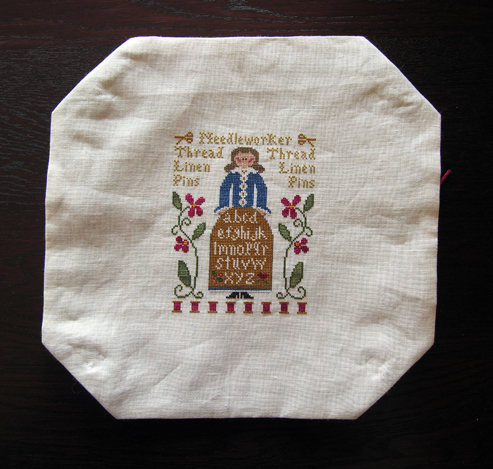 I filled it with Quaker needlework smalls as a gift for a friend. I was sad to see it leave home! I finally had the time AND the right fabric to finish my Bourse! 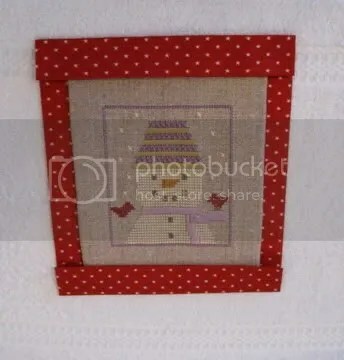 The stitched piece is The Sampler Lady by Little House Needlework. 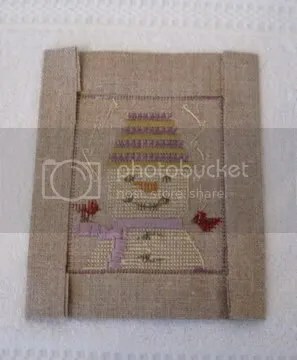 It was a joy to stitch. I am sure you are going to really enjoy this so very easy but very effective finish. Remember your list of materials/tools was here…just so that you can check you have everything with you 😉 Good, now all we need is to have some good fun, a bit of time, lots of patience and an ability to use an iron. NB. 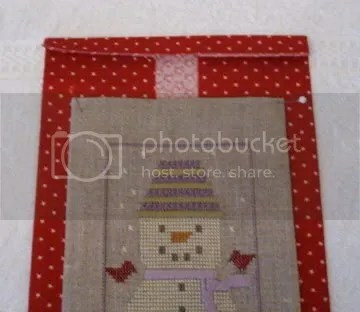 I know…caught out, tut tut naughty me 😉 that you can see the thread dragged between the smyrna snowflakes floating in the sky on my reverse, but honestly this linen is as thick as sack cloth, I thought I could cheat and get away with it with this linen… totally forgetting this was going to be seen by the world!! So please excuse and overlook my tardiness on this occasion.. however on the plus side…lol…they will stay put, nice and secure over time and they do look alot worse on these pics! Without further more ado on we go… just remember have fun and enjoy your creation!! Step 1. Press with iron the whole reverse side of stitched piece so it is nice and flat. 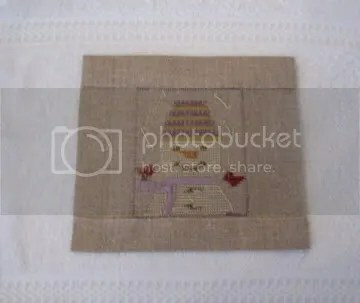 Now remember our 2 inch/5cm allowance all around the design we are now going to ‘finger’ press after measuring the top and bottom a 1 inch (2.5cm) turnover to wrong side of stitched piece. 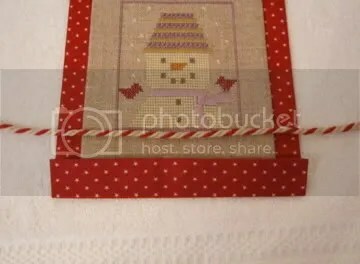 It will turn into exactly the outer edge of the outline border crosses, it should look like this below. Step 2. Do the same for the 2 sides remembering we are working on the reverse side all the time. Step 4. 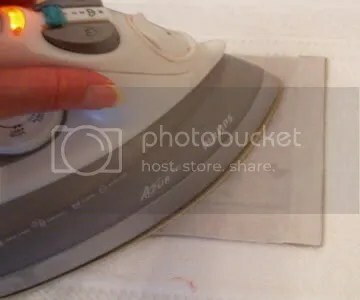 Cut Iron On Vilene/fusible Interfacing to exact size of the now ironed stitched piece. Step 5. On REVERSE side shown above now iron vilene/interfacing on as per manufacturers instructions to fuse to the back of stitched piece. Step 6. We now start the backing fabric measure and fold sides in like this by ‘finger’ pressing. Step 10. 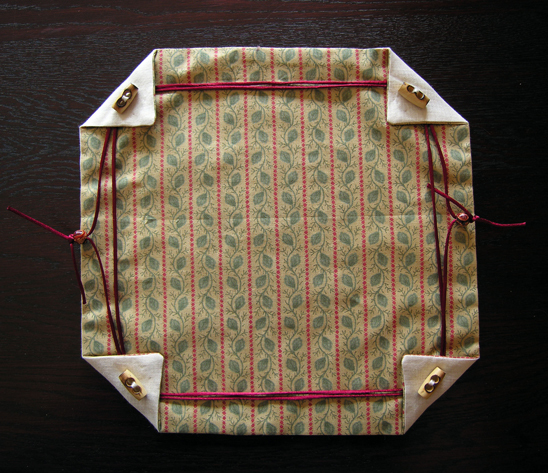 Now we know everything is lined up properly, press it into place being careful not to iron over your stitching. Step 11. We now do exactly the same for the bottom section following steps 8 to 10 above. It will now look like this below. Step 12. 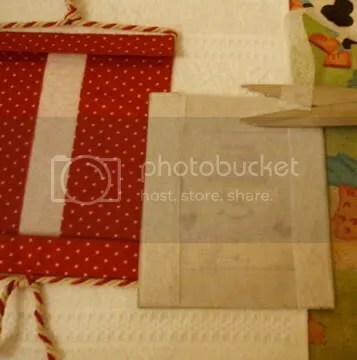 If your prepared stitched piece is quite light you may not need to do this step. 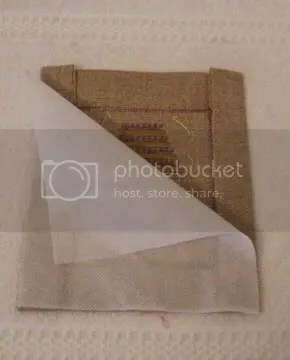 Mine was a very thick heavy linen and the backing fabric needed more strength to hold it firm. Judge yourself if there seems a big weight difference in the 2 prepared sections. 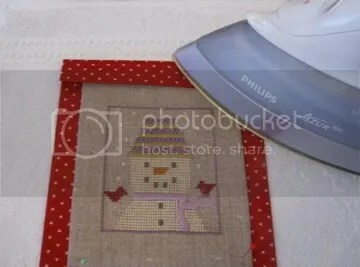 If yours does need strengthening to keep it firm we are now going to repeat Step 4 for the iron on Vilene/fusible interfacing to be exact size of now ironed backing fabric piece. 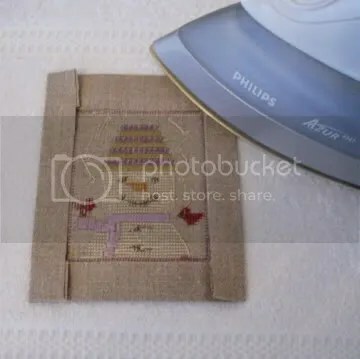 This time though we will open up the ironed backing fabric , line up the Vilene/Interfacing within the ironed outline and again as per manufacturers instructions iron it into place on WRONG side BEING VERY CAREFUL NOT TO PRESS OUT YOUR CAREFULLY IRONED IN LINES. 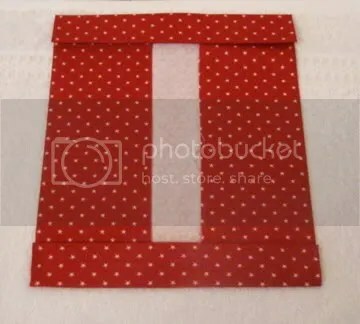 The backing fabric now looks like this below once you have folded in the top, bottom and sides again. Step 13. 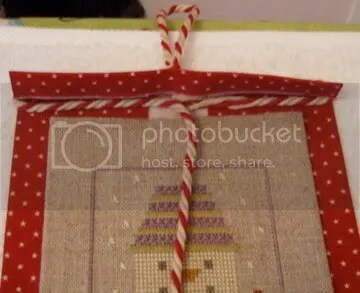 Take your length of cording and knot a loop in it a little way along. This will form the hanger, centre it in the middle top then take the remaining cording round snugly to fit in under the flap. OR: Maybe a better way?…You can always do it way of the bottom instruction below (Step 15) but leave the ends long enough to knot at the top to form the hanger. Step 15. 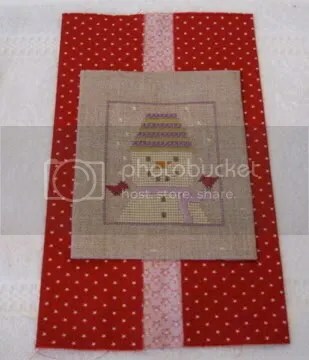 We are going to do the bottom now but the other way around by placing the cording under the flap first then bringing it around to the bottom of the fabric. Step 17. 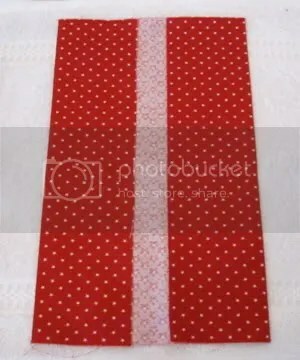 We are on the last leg now of fixing it all together, all the careful preparation will pay off 🙂 We are now going to cut the strips of Iron on Wonderweb / Fusible web / Hemming Tape. Very carefully and accurately cut the strips the exact length and width of the sides of the STITCHED piece as shown here. So you end up with 4 pieces clockwise all round the edge…one each side and top & bottom. Step 18. Very carefully to make sure all the web / tape is accuarately lined up turn it all over and place it on the top of the backing piece. Once correctly centred vertically pin it into place to hold…the big moment is coming up as you will now follow the manufacturers instructions and fuse it into place with your iron 🙂 It will now look like this below. Step 19. This is the last step and we are going to fuse the overlap flap with the web / tape to form a sealed casing. Again cut the strips exactly the right width, of the flap this time. 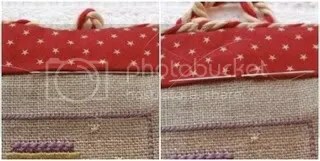 Make sure the cording is correctly in place top and bottom then push the flap down/up repectively and iron again as per manufacturers instructions. 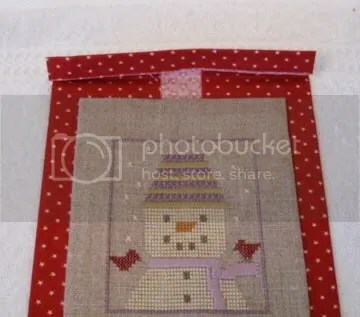 This will attach the top and bottom sections to the stitched piece . Separate to unravel the bottom ends of the twisted cording to form a tassel, trim if necessary to make it look neater. Those of you who can or like to sew can of course do so invisibly right round the whole edges. 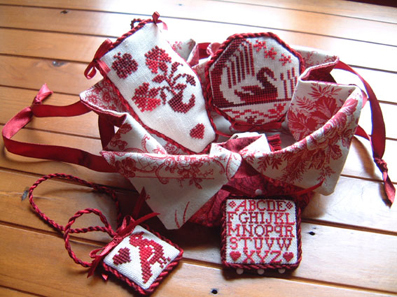 This month is the NO SEW Wallhanging class it will run NEXT weekend 16th – 17th June. 2. 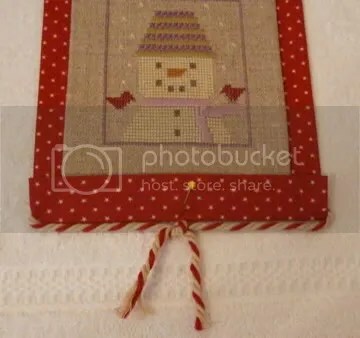 A fabric square 6 inches or 16cm bigger than stitched piece on all sides. 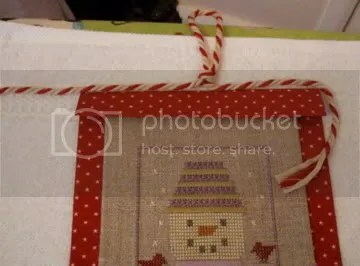 I used a cotton fabric for my backing. 3. 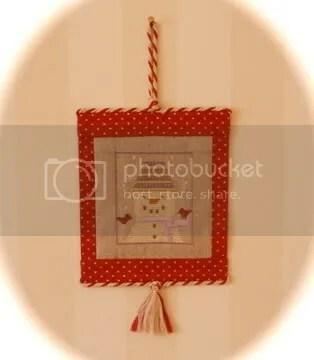 1 yard or 1 metre of cording, I used shop bought but you can make your own co-ordinating twisted cording. 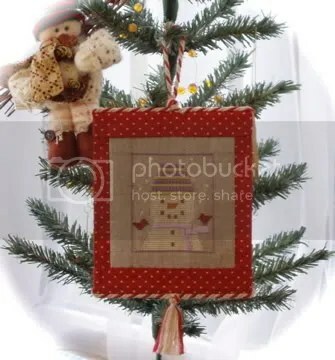 You can also use ribbon instead, if you prefer to. 4. 4 buttons which are optional for each corner. 5. 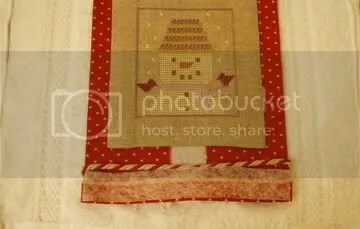 Fusible Interfacing / Iron on Vilene enough for both stitched piece and your backing fabric. 6. Wonderweb / Fusible Web / Iron on Hemming Tape. 3. Clean towel for pressing on ironing board. 6. A tapemeasure or a ruler for precise measuring. 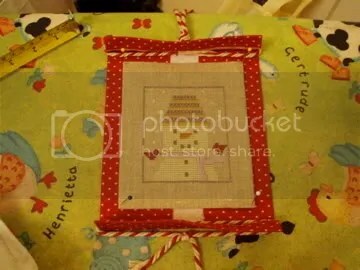 Tutorials page has been updated with a link to a patchwork wallhanging tutorial created by Heather Lott. The well-illustrated instructions are very clear and run over 3 separate pages.